Ammanford wind farm: How do you build a turbine? • £3 billion Home Building Fund to be used to help SME builders challenge major developers. • The previously announced “lifetime ISA” is designed to help first-time buyers save for a deposit. • Ensuring infrastructure is provided in the right places at the right times through the £2.3 billion Housing Infrastructure Fund. • Require reviews of Development Plans every 5 years • Look to introducing a standardised method for the assessment of housing needs • Give greater weight and support to permitting small site developments • Time permitted between granting of planning permission and start of building reduced from change to: three to two year except where this could hinder viability. • Developers to be expected to avoid “low-density” housing where land availability is low. • Greater transparency over land ownership and availability to discourage ‘land banking’. • Higher fees and new capacity funding to develop planning departments. • No reform of the Green Belt – development will continue to be permitted only in “exceptional circumstances”. • Pledge to stimulate the growth of offsite construction through the Accelerated Construction Programme and the Home Builders Fund. • Support a joint working group with lenders, valuers and the industry to increase availability of mortgages across modern methods of construction, building on the Build Offsite Property Assurance Scheme. • Consideration of how the operation of the planning system is working for MMC developments. • New route into construction to be launched in September 2019, streamlining the number of existing courses. • The Government has pledged to change the way it supports training in the construction industry. • Pledge to work closely with the Construction Leadership Council to encourage industry to do more on retention and training. • Government will target investment for Build to Rent. • Shift of emphasis from home ownership (particularly Starter Homes) to “a broader range of affordable housing”. • Consultation on the banning of letting agent fees to be released early this year. • Relaxation of Affordable Homes Programme to include affordable rent as a component tenure, rather than focusing on shared ownership as the scheme did originally. The government has lifted its holding direction on Birmingham City Council’s Development Plan, allowing the authority to deliver thousands of homes and jobs. Planning and housing minister Gavin Barwell lifted the direction, the first to be made under section 145(5) of the Housing and Planning Act 2016, which prevented the plan from progressing pending further investigation into proposals to earmark land in the Sutton Coldfield green belt for housing and jobs. It was initially approved in April 2016. The RTPI Planner magazine reported in May that a holding notice had been issued on Birmingham’s development plan following a complaint by local bicycling MP Andrew Mitchell. Barwell said the scale of unmet housing demand in Birmingham was “exceptional and possibly unique”, and saw no reason to disagree with a planning inspector’s view that the plan was consistent with national planning policy. 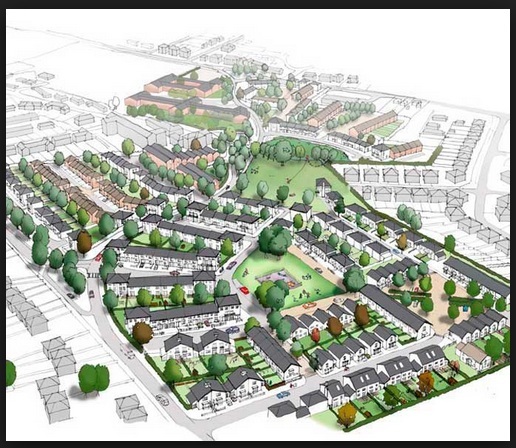 The plan aims to build 51,000 homes, including up to 6,000 at Langley in Sutton Coldfield. The council had promised the new homes will be supported by exemplar infrastructure and facilities plus the “highest standards of design and sustainability” as well as being integrated with the existing community. The plan is expected to be formally adopted early next year. Birmingham had concluded that 89,000 homes are needed in the next 15 years to tackled the city’s acute housing shortage and growing population. All brownfield land in Birmingham with potential for housing development had been considered under the council’s strategic housing land availability assessment. Birmingham’s strategic director of economy, Waheed Nazir, welcomed the government’s move. “Removing the holding direction is an important decision both for the city and the wider UK in terms of our ability to deliver housing growth,” he added. In October, the government issued a similar direction against Bradford Metropolitan District Council on the adoption of its core strategy amid concerns from Shipley MP Philip Davies over the proposed release of green belt in the Wharfedale area. This year’s Housing and Planning Act introduced new duties for councils to plan for self and custom-build homes. One local authority in Devon has already been taking a pioneering approach to encouraging this model of housing through local policy. This summer, Teignbridge District Council said it had become the first in the country to adopt a supplementary planning document (SPD) promoting self and custom build homes. The document, adopted in July, sets out how the authority intends to secure provision of such homes through conventional housing schemes. The SPD is based on a local plan policy that the council adopted two years ago. This requires developers of schemes of more than 20 homes to supply at least five per cent of plots for sale to self and custom builders. "We are trying to help small house builders and self-builders to maintain or increase their proportion of the market, which will benefit the local supply chain and increase the variety of approaches and designs," says Simon Thornley, the council’s business manager of spatial planning and delivery. While preparing the local plan, the council gathered evidence for the policy to test the market for self-build housing. The results convinced the authority that there was sufficient demand for the product. "The figures looked really strong and suggested that there was a pool of people out there who would be interested," says Thornley. The council was encouraged by paragraph 50 of the National Planning Policy Framework (NPPF), which advocates incorporating self-build homes into the housing mix. The resulting "Teignbridge rule" – the five per cent requirement – was drafted as a local plan policy and met with minimal objection, Thornley recalls. "Developers didn’t seem too concerned," he says. "For them it means selling plots rather than houses, so it’s not about viability so much as certainty." But with the local plan adopted, the council decided that such a new area of policy required further detailed guidance to assist developers, development management officers and custom and self-builders. It quickly produced an SPD to "give a bit of a route map for the various actors in the process", says Thornley. Teignbridge’s work in developing the policy and the SPD has been supported by the Homes and Communities Agency and the National Custom and Self-build Association (NaCSBA). Thornley says that the association’s advice and online toolkit have taught the authority some key lessons and the association has welcomed the publication of the SPD. "When it comes to encouraging, supporting and growing the opportunities for people to build their own homes, Teignbridge has been one of the most proactive councils in the country," says NaCSBA chair Ted Stevens. "This document will make it easier for local people to self-build and I’m sure many other councils in the UK will find it helpful, too." With the local plan policy having been in place for two years, sites that have been through the system are only now starting to be delivered. 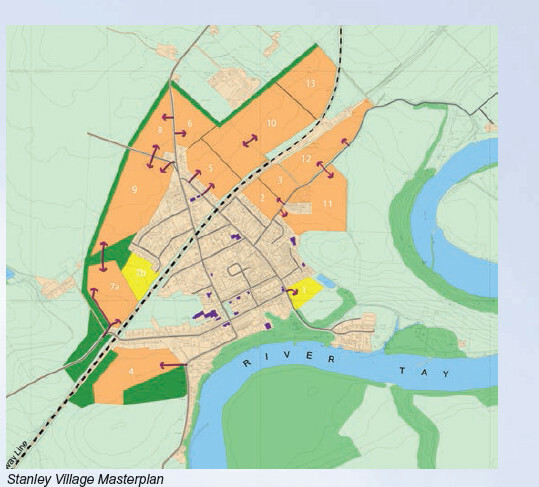 The first site incorporating self-build and custom plots – a 205-home scheme in Bovey Tracey containing 20 self-build plots – is expected to be marketed in the coming weeks, says Thornley. "We have 11 sites permitted that incorporate the self-build requirement, and the total number of plots coming forward from those is 102," he adds. Thornley says that the most difficult aspect of the project has been the long wait to see the fruits of the Teignbridge rule. "It’s going to be great when we start to see these developments coming out of the ground," he says. 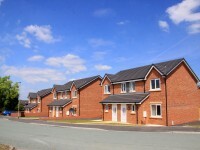 · Remember that promoting self-build can help to deliver both market and affordable housing. According to Teignbridge Council senior planner Alex Lessware, the supplementary planning document (SPD) “seeks to address the demand for both affordable and market self-build through the five per cent allocations policy and on rural exception sites”. · Think about how the self-build element of developments can be brought forward in a reasonable timescale. Teignbridge has found that some developers prefer to leave custom and self-build elements to the end of their builds. The SPD addresses this by giving advice on phasing and providing template section 106 clauses. · Local planning authorities should consider ways in which they can raise the profile of their self-build policies. “Clarifying our local plan policies through the creation of an SPD helped to improve comprehension and raise the profile of our policies among our own councillors and staff, as well as the wider public,” says Lessware. Organisations involved: Teignbridge District Council, with support from the Homes and Communities Agency and the National Custom and Self-build Association. These announcements, buried deep in the Budget detail, could radically change the way we deliver new homes. Because rural councils will soon be able to acquire land for these "garden villages" at an affordable price, the development bodies they create will be able to afford to invest upfront in the schools, shops, GPs’ surgeries, workplaces, parks and sports fields to create sustainable communities. This will all be achievable at no expense to taxpayers, as the cost will be repaid by plot sales. Landowners won’t get a windfall in the form of an unearned multi-million-pound payoff, but they will get decent compensation - more than enough to buy a much better farm or home somewhere else. Keeping the cost of land moderate will make the homes built on it affordable too – and not just some of them. With plots readily available to all comers, prices will be driven down through competition, rather than up through shortage of supply. All this is great news for people who desperately want a decent home in a well-served, attractive community. There will be plenty of choice, as low-cost plots can be made available for self-builders and those wanting to commission a home from a local builder, as well as to housing associations, small and medium-sized businesses, and new entrants to the UK housing market - including overseas builders used to mass-producing at scale - who will now be able to access plots without planning risk. Most importantly, the change offers a new option for councils struggling to deliver the homes their communities need in the face of understandable concerns from existing residents about the impacts of new development - not just visually, but in terms of local services, traffic congestion, and affordability. Meeting the deadlines for local plans will also become easier, as housing need can be more readily met with a single new settlement using New Towns Act powers, with delivery guaranteed through the development body. This makes for a simpler process, without the need to negotiate the difficult politics of multiple smaller urban extensions (or even a larger one) involving complex land holdings, viability issues and questionable delivery. This opens the path to the US and European model, in which homes are often built to order within well-planned settlements, and where the necessary social (and other) infrastructure is delivered by a "master builder" and funded by plot sales. As the development under this model can’t be controlled by one or two large housebuilders, no one can control house prices by drip-feeding homes to a desperate market – nor will they have to do so to meet high land prices. House-builders will, however, have to compete on quality and price. The development body, engaging commercial expertise, will act for the community as a whole to deliver a great place. It will enforce the masterplan and design codes, and deliver all the services, selling plots at affordable prices. I believe this will be especially good news for historic market towns and villages besieged by speculative development proposals. Councils that opt to deliver a new garden village to meet local needs will be able to rule out unwanted development on the edge of historic settlements, protecting the places people care about most - those in their own back yard. It is also about creating sustainable communities fit for the 21st century. With low-cost land, it is far easier to deliver the premises for local entrepreneurs that are typical of older settlements. Shop units, offices and small business premises become part of the infrastructure investment, turning presumptions about what is "viable" on their heads. This way, we can create communities that are far more self-contained than any recent urban extension. I would struggle to find a large housing estate that has anything like the range of facilities and businesses found in my village of 1400 homes. Why? Because, in my village, premises are not capital investments competing for land with new homes, expected to make a sizable return for landowner, developer and national retailer. As a result, they are readily available at low cost. Of course, people will travel to larger service centres for fashion retail and other ‘big trip’ items. But think for a moment – what does 21st century sustainability look like? In an age were electric vehicles are around the corner, the trip to town down the main road will no longer be unsustainable. What is unsustainable is the traffic congestion currently found in historic towns as people travel by car (let’s face it, they don’t walk) from an edge-of-town estate to established schools, shops and workplaces in the town centre. This congestion is not ‘solvable’ if we go on extending the edge of town. By contrast, those travelling into major centres from a new settlement can be picked up at a park and ride, and/or given rapid transport options such as executive coaches and bus links. Alternatively, they can be persuaded to use home delivery services instead of making the trip at all. Today the default option for new homes is endless ‘anywhere town’ estates crammed onto the green fields around historic communities, built there in the name of ‘sustainability’, but in fact adding to congestion. These are the green fields people value precisely because they are on their doorsteps, and are the setting of their historic communities. They are the fields that absorb flood water and provide access to the countryside. This is also the land that is most costly, controlled by "land options" guaranteeing the highest possible prices with few, if any, services. As a result, people who move into the new homes have to drive across town for everything, leading to ever-more congested roads, overcrowded schools and surgeries, all at the cost of the historic settings of every market town and village. No wonder new development is so unpopular. Residents don’t get the homes they want, either. People are able to well describe their hopes for a home - typically, they look for a decent and affordable house and garden, in a strong neighbourhood, with local facilities and a good school. Yet we almost always fail to deliver this, because the price of land is too high. In a society where only two per cent of the population aspire to live in a flat, around 40 per cent of what we build are flats. In a country where, even in the ‘overcrowded’ South East, 87 per cent of the land is green fields, and where meeting housing needs would use less than one per cent of that space, we act as though we are so short of land that an Englishman’s home can no longer include a decent garden - or any at all. What are we thinking of? A new generation of smaller garden towns and villages - and the extension of the power to use the New Towns Act (suitably modernised) to local planning authorities to achieve them - does not rule out more conventional development options. But I believe it adds a fundamentally game-changing option to the mix. In time, it will alter perceptions of what land is worth on the urban fringe, as landowners on the edge of town will have to compete for development, no longer able to assume it will come to them sooner or later, and to command prices that reflect under-supply and a lack of alternatives. This isn’t about more green fields being developed – it is about which green fields, and who gets the financial benefit of development. It’s not about building new housing estates - it’s about creating sustainable holistic new communities. Crucially, it’s about listening to what people actually want. If each of England's rural local authorities builds just one or two new garden villages during the next decade, they can deliver the extra homes desperately needed in their communities in great, well-served new settlements, at prices people can afford. And all without ruining the historic places we treasure. The Local Government Association says councils should have the power to charge big companies that sit on sites with planning permission. Councils should be given the power to tax developers for every unbuilt house in a bid to unlock 475,000 units which are yet to be started, the Local Government Association has said. Full council tax should apply to companies sitting on development sites where new homes have been given the green light from the date planning permission expires, the body said. The tax would act as a punishment to developers who land-bank, preventing homes from being built despite being given the go-ahead by councils. 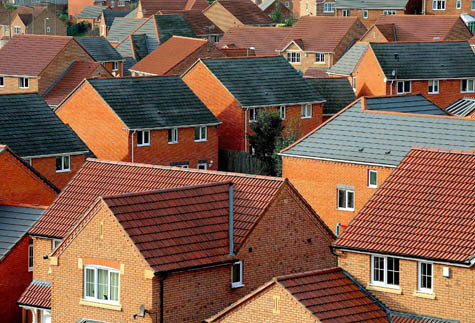 Almost half a million homes have been granted permission but have not been started, the LGA has found. The research also revealed that developers are taking a year longer on average to complete work compared to nine years ago, while planning applications given permission have also gone up compared to 2007/8. Councillor Peter Box, the LGA Housing spokesman, said: "While private developers have a key role in solving our chronic housing shortage, they cannot build the 230,000 needed each year on their own. To tackle the new homes backlog and to get Britain building again, councils must have the power to invest in building new homes and to force developers to build homes more quickly. Planning permission expires after three years and the LGA has called on Ministers to allow councils to start charging council tax on proposed properties as soon as it runs out. A spokesman for the Department for Communities and Local Government said: "The government is determined to see more homes built, we do not want to increase costs and bureaucracy that slow the rate of housing delivery or planning permissions being brought forward. A study commissioned by the Royal Town Planning Institute (RTPI) said town planning could be used to drive the UK economy – but was currently seen as a brake rather than an accelerator. Planning China’s Future, based on research by three members of staff from University College London (UCL), found that municipalities in the Asian powerhouse used strategic planning to attract the developments they wanted. The study said that while China’s system was not to be seen as best practice for other countries, it did show how planning could support growth. "The focus of planning should be shifted from physical design to economic development in order to cope with the demands of the market," said the report. "In the Chinese context, planning has undergone this transformation and succeeded in adapting to the marketisation of the Chinese economy. Chinese planning in this case has managed to become more important and central to the governance system." The report also said that studying the Chinese system also illustrates "how extreme liberalisation of the planning system should be avoided, as this would weaken the ability of planners to shape the development market". The report was based on research conducted for the RTPI by Fulong Wu, Fangzhu Zhang and Zheng Wang from the Bartlett School of Planning at UCL. RTPI head of research Mike Harris said: "As the UK develops its strategic relationship with China on major projects and investments such as the National Infrastructure Plan and the Northern Powerhouse, these findings can be useful to provide a more positive interpretation of planning and help counter the perception that planning is a passive obstacle to economic growth." Tens of thousands of new homes in greenfield areas in England will be given automatic planning permission amid fears that communities will have inappropriate developments forced on them. Ministers have quietly given developers the right to be granted "planning in principle" in areas that are earmarked for new housing schemes. 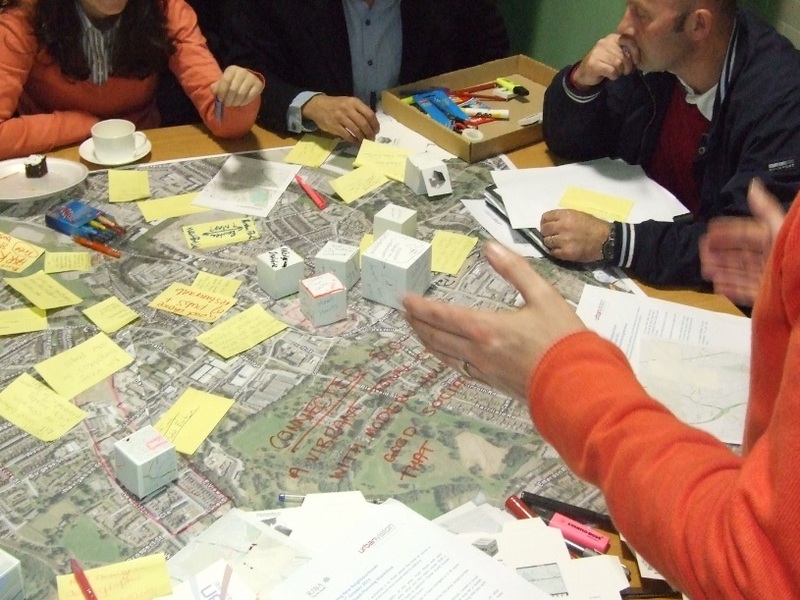 A hundred communities in England have adopted Neighbourhood Plans. Locality, the national network of community-led organisations, which delivers the planning programme on behalf of the Department for Communities and Local Government, says more than eight million people in 1,600 neighbourhoods now live in areas with Neighbourhood Plans. These documents, written by communities, set out the planning policies for an area. Once adopted in a referendum, a Neighbourhood Plan becomes part of statutory planning policy and all planning decisions must be guided by it. Locality has allocated £6.7m in government grants to support community groups through the process since its introduction under the Localism Act in 2011. Chief executive Tony Armstrong said people want to influence what happens on their doorstep. “Whether that’s ensuring there’s enough affordable housing for their children in the future, protecting green spaces or safeguarding their neighbourhood’s heritage, they get to say what’s important to them and, more importantly, they get to be listened to,” he said. Reports are that Zac Goldsmith, MP for Richmond Park and North Kingston, has been named as the Conservative candidate for London mayor today. The Guardian reports that Goldsmith’s selection sets up a "fascinating personal and political fight with the Labour candidate Sadiq Khan." The newspaper quotes Goldsmith saying that the "biggest challenge of all is the housing crisis. Londoners are being priced out of their city and we will need a step change in the number of homes built, and the manner in which they are built." Despite a record year for turnover major house-builder still sees LPA's at root of housing shortage. Despite Redrow Homes posting private revenues inexcess of £1bn for the first time ever they continue to bemoan local planning authorities for site delays, warning that the delivery of new homes is being held up by 'local politics, a lack of resources and unnecessary bureaucracy'. The housebuilder’s operation review praised the former coalition government for doing "a lot to improve the planning system". It adds that the new Conservative administration’s recently published productivity plan "sets out a clear intention and determination to build more homes that people can afford". But the group’s operating review warned: "Ultimately delivery is very much in the hands of local authorities where all too often planning is stifled by local politics, a lack of resources and unnecessary bureaucracy." "To materially increase output, these fundamental issues have to be addressed," the document continued. It said that Redrow tries hard to "overcome these planning obstacles by consulting with local communities and working closely with planning departments". Redrow chairman Steve Morgan said that the local plan process has "noticeably improved" since the introduction of the National Planning Policy Framework, but added: "Local plans are still taking far too long in many parts of the country." The statement added: "Last year there was a noticeable increase in the number of outline planning approvals. However, gaining reserved matters and detailed planning consents is still taking far too long. "Increasing housing supply in the UK is dependent on increasing the number of outlets; yet, despite the increase in headline planning consents, the number of outlets in the industry has barely grown. This situation will not improve until the burden of red tape associated with needless planning reports and conditions has been removed." DCLG back down and don’t support Rolleston Neighbourhood Plan efforts. Communities secretary Eric Pickles decided not to contest a High Court challenge against his decision to reject plans for 100 Staffordshire homes on the basis that the proposals would 'undermine' an emerging neighbourhood plan. Last year Eric Pickles rejected an inspector’s recommendation to allow an appeal against East Staffordshire Borough Council’s refusal of planning permission for the homes proposed for a college site at Rolleston on Dove. Pickles agreed back then with inspector Terry Phillmore that there was a "substantial shortfall" in the council’s five-year housing land supply. But Pickles found that "the effect of granting permission would undermine the neighbourhood plan-making process in this case", as the site, owned by Burton and South Derbyshire College, was not proposed as a housing location in an emerging neighbourhood plan. A decision letter said that Pickles gave "significant weight to the opportunity which the neighbourhood plan process gives to local people to ensure they get the right types of development for their community". Burton and South Derbyshire College brought a legal challenge against the secretary of state’s refusal to grant planning permission. The case was listed for a High Court hearing in July but this week it emerged that Pickles has now "consented to judgement" in the legal challenge against his decision, meaning that the appeal will now be remitted back to the secretary of state for redetermination. Law firm SGH Martineau, which advised the college, said that Pickles’ decision to consent to judgement was the "first time that the secretary of state has backtracked on neighbourhood plans". Law firm SGH Martineau added: "This neighbourhood plan did not conform to the council’s local plan, which had allocated the land for development, recognising the benefit the scheme offers in terms of new homes and the potential for economic growth." The barrister, who represented the college at the appeal and in the High Court proceedings, commented: "The case demonstrates that in his enthusiasm for neighbourhood planning, the secretary of state failed to take into account even the fact the site is allocated in the emerging local plan." The Department for Communities and Local Government spokesman said: "Having reviewed representations, Ministers decided in March to re-determine the appeal at College Playing Fields in Rolleston on Dove. The appeal will now be carefully re-considered." Earlier this week the High Court held that a Planning Inspector had not misinterpreted Reg 122 of the CIL Regulations 2010 nor had he acted irrationally in determining that a local planning authority was not entitled to fees for administering/monitoring planning obligations in a s106 agreement. The section 106 agreement entered into by the parties included various infrastructure and a contribution towards administration/monitoring (£3750). The application was said to be a routine one, with obligations based on a standardised table and the admin/monitoring cost calculated as a percentage of the other contributions rather than reflecting an assessment of the work actually required to administer or monitor the obligations. The agreement included a ‘blue pencil clause’ allowing the Inspector to strike out contributions that did not meet the Reg 122 tests. The Inspector duly took his ‘blue pencil’ to various contributions in the s106 including the administration/monitoring fees. The claimant local authority applied to overturn the Planning Inspector’s decision on the grounds that the inspector had misinterpreted the ‘necessity’ test in Reg 122 and had made an irrational decision in finding that although (some) planning obligations were necessary (to make the development acceptable in planning terms), monitoring of the obligations was not. The application was refused by the High Court on the grounds that there was nothing in the wording of the TCPA 1990, the Planning Act 2008, the CIL Regs, the NPPF or the NPPG which suggested that authorities should or even could claim admin/monitoring fees as part of planning obligations.The Court noted that legislation made provision for payment of fees for planning applications, discharges of condition etc, but not for the administration or monitoring of s106 obligations. It was held to be part of the local authority’s functions as a local planning authority to administer, monitor and enforce such obligations and that the cost of doing so should be met by their budget. The relevant allowable contributions, (education and library services – as determined by the Inspector) did not even require ongoing management or maintenance in any event as they were single payments payable in advance of the commencement of development. The door may still be open for an argument in exceptional cases, but it is clear that routine requests for standardised administration and monitoring fees may fall foul of the statutory tests. Larkfleet Homes Limited applied for a Judicial Review of Rutland County Council to allow the Uppingham Neighbourhood Development Plan to proceed to a neighbourhood planning referendum, in which it was endorsed by more than 90 per cent of voters on a 26 per cent turnout. The neighbourhood plan, a government-designated "front runner", proposed at least 170 homes between 2013 and 2026, allocating three sites for development in the market town. Larkfleet Homes, which has an interest in a potential housing plot near the town - which was not one of those selected to feature in the neighbourhood plan - fiercely objected to the process. But High Court judge Mr Justice Collins well known to planning decisions this week dismissed the appellants arguments that the legislation does not permit specific allocation of sites within neighbourhood development plans. Also rejected were complaints that the referendum covered too wide an area and that the three selected sites should have been subjected to environmental assessment. In ruling on the company’s judicial review challenge, the High Court noted that much of the underlying legislation, including parts of the Localism Act 2011, were "not always well drafted" and that that was likely to produce over-complexity and lengthy processes which would do nothing to reduce expense. Brandon Lewis has announced new powers to make it quicker and easier for communities to create their own neighbourhood plan. More than 5.2 million people live in one of the 1,274 areas across England where the community is working together to create a neighbourhood plan. Agreeing an area for a neighbourhood plan to cover has taken on average 19 weeks. More than 160 communities have been consulted on draft neighbourhood plans with 31 plans now in force and forming part of the Development Plan. The neighbourhood plan approves proposals to turn disused buildings into office space, and supports the development of business within the built up area boundary of the market town. The plan also encourages the use and development of ‘Live Work Units’ that are especially suited to small businesses in the arts and cultural sectors, which are common to Arundel. The community has identified priority projects that the parish council will fund using community infrastructure levy money. These include playing fields and changing facilities, an extension to the community centre, new allotments and a community orchard. In areas where the community infrastructure levy has been adopted, communities with a neighbourhood plan in place will benefit from 25% of the levy revenues arising from the development that takes place in their area. In previous surveys of residents around 70% of respondents regularly said ‘no’ to any new housing in the village. Earlier this year, 91% of residents voted ‘yes’ at referendum to a neighbourhood plan allocating land for 76 homes across 5 sites. The neighbourhood plan allocates 770 new homes to 6 sites dispersed around the Oxfordshire market town, departing from the local planning authority’s proposal to put almost all of the housing on one site on the edge of Thame. The plan also sets out what infrastructure (such as roads, schools and community facilities) are needed to make development acceptable. 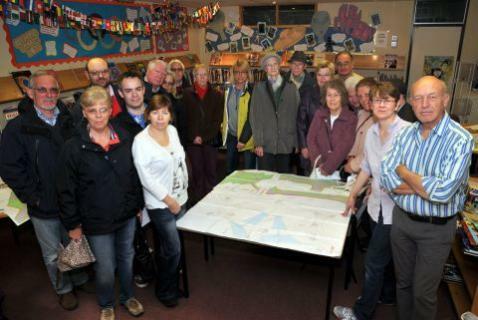 Has produced a successful neighbourhood plan and created a community trust to deliver the projects identified in the plan. Their first successful project was the regeneration of the Queen’s Crescent Gardens, and new projects include the development of sustainable homes, improving allotments and heritage walks in a neighbourhood close to the centre of Exeter. 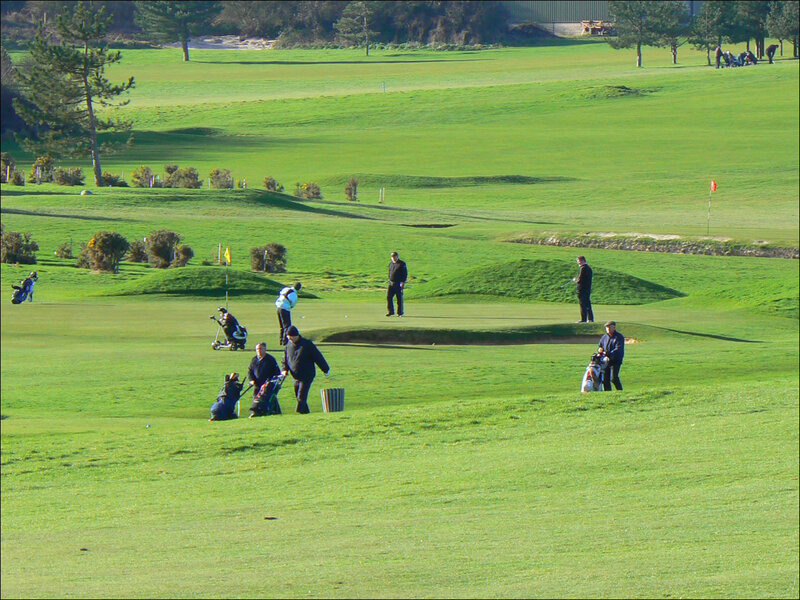 The neighbourhood plan protects 8 areas of local green space in the Sussex seaside village. 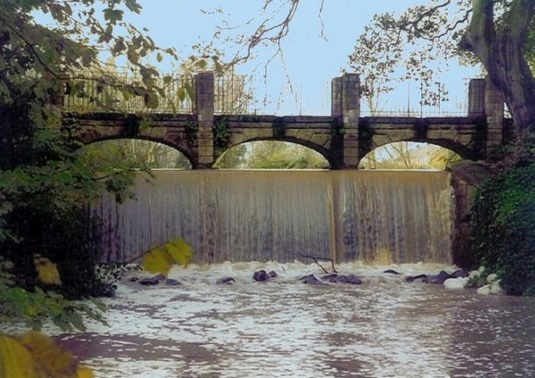 The spaces have been identified for their environmental, recreational, or historic significance to the community, and no development will be permitted on them except in very special circumstances. Councils will now have just 13 weeks to consider a community’s application to create a neighbourhood area. This timeframe is reduced to 8 weeks where the neighbourhood area follows a parish boundary, and where applications cover an area straddling more than one planning authority the period for consideration will be extended to 20 weeks. It is still early days for the Community Infrastructure Levy (CIL). 47 Authorities are charging intermittently and 22 authorities are between examination and adoption. One of the key issues, for charging authorities committed to growth and delivering the associated infrastructure, is certainty of funding. One of the purposes of CIL is to ensure that landowners make a full contribution towards infrastructure costs and authorities need to be hesitant before adopting an approach that undermines that. Authorities must balance the risks to delivery of the public sector taking on a greater role in funding and procuring infrastructure with CIL receipts against the wider risk that delivery left outside CIL and in planning agreements will be subject to a greater degree of viability-based landowner-led value engineering than ever before. The HBF have just published a leaflet CIL: Is it delivering?. A suggestion here is for the stated preference for a “developer-led” approach to infrastructure delivery for large scale schemes. In this model it is proposed that developers deal with infrastructure provision on- and off-site under section 106 agreements and charging authorities charge a zero CIL rate. That is, clearly, one possible approach and one that some authorities are pursuing. It can work very well. There are, however, risks and so there are also alternatives. At the opposite end of the spectrum is an “authority-led” approach to CIL in which the authority takes responsibility for all infrastructure except the on-site provision, and a high CIL rate is charged. That reflects the desire to avoid value engineering of major consents which ultimately undercuts the infrastructure investment that can be made. Wokingham have promoted this approach and it has recently been endorsed by the CIL examiner as “in full accord with the legislative purpose and the associated guidance related to CIL“. One of the arguments HBF mention is the gap between the amount raised by CIL and the cost of the infrastructure necessary to support development. There is clearly a gap – all the examination evidence to date makes that clear. What is also clear is that that gap will not be filled in the developer-led approach. Indeed, if it were affordable under a section 106 agreement it would also be affordable commuted as part of CIL. In reality there are benefits and disadvantages to both approaches. Under the developer-led approach it is argued that developers may be able to procure more efficiently, although there is limited real evidence that house builders are particularly well suited to delivering schools, health facilities or major roads. If in control, then developers are better able to control the programme of delivery, to manage costs and to take the risk of cost overruns. However, an authority-led approach avoids the risk that strategic sites are subsequently split up allowing developers to argue that they should not be responsible for the major infrastructure, much of which will fail to satisfy the Regulation 122 and 123 tests. There is an answer to this. In Milton Keynes a framework agreement was put in place ahead of any planning applications. That set the framework for infrastructure provision and contributions and will be taken into account when CIL emerges in Milton Keynes. Properly it will justify a low CIL rate not least because the Council is obligated already to provide the infrastructure. The framework agreement will give the local planning authority comfort that individual developers cannot slice large sites and then take advantage of a low CIL rate. Eric Pickles offered a short-term boost to the country’s small house builders, making clear that most “Section 106” charges should not be sought from the smallest house-builders – specifically on sites of 10 homes or fewer, including self-build, extensions and annexes. Figures from the National Housebuilding Council have suggested that the number of small and medium-sized builders has halved, from 6,167 in 1997 to 2,832 by 2012. The Minister said “Small builders are being hammered by charges, which have undermined the building industry, cut jobs and forced up the cost of housing. By getting rid of these 5 and 6-figure charges, we will build more homes and help provide more low-cost and market housing. The question is with the government well in term why if these changes were so important why has this policy taken 4 years to change. CLG estimates that the policy will save, on average, £15,000 in Section 106 charges per home in England – with some councils charging up to £145,000 on single properties. Further savings will be made from the tariffs councils can use to charge more than £15,000 per home over and above any housing contributions. This will also support the nation’s self-builders – ensuring any builder helping to turn someone’s dream home into a reality, or build an extension to an existing property, doesn’t get lumbered with Section 106 charges, mirroring what the government has already done on exempting them from the community infrastructure levy. Mr Pickles also announced plans for a new £25 million fund to unlock construction on micro-building sites between 5 and 15 homes. These sites have local support and planning permission secured, but have struggled to get restarted after being mothballed during the downturn. This new funding will come in the form of loans, which the developer will repay on completion and sale of the homes. It forms part of the wider £525 million Builders Finance Fund already ministers have published a shortlist of more than 160 stalled housing developments of between 15 and 250 homes that could benefit from a share of the funding to get their workers back on sites. The 2008 housing crash devastated our house building industry and led to the loss of a quarter of a million construction jobs. Smaller house builders were among the hardest hit – where in 1990 they provided over 60% of new homes built, this year they’ll account for around a third. Both Leeds and Newcastle-upon-Tyne have made significant progress in the past week on moving to a conclusion on their Development Plans. Strategies in Cheshire, the Home Counties, Staffordshire and Worcestershire have had mixed fortunes. Leeds City Council has resolved to adopt its core strategy document that will guide development in the district up to 2028 as well as a community infrastructure levy (CIL) charging schedule that proposes rates of up to £90 per square metre for residential developments. The strategy proposes the provision of 70,000 new homes in Leeds between 2012 and 2028. Under the plans, the homes would be delivered at a rate of 3,660 per year until 2016/17 and at 4,700 per year thereafter. The council has committed to a comprehensive review of existing Green Belt boundaries. On Tyneside the Core Strategy and Urban Core Plan for Gateshead and Newcastle has been judged to be “sound” by a planning inspector. In Newcastle the proposals to build homes at Callerton, Newbiggin Hall, Kingston Park/Kenton Bank Foot, Newcastle Great Park, Dinnington, Throckley, Hazlerigg and Wideopen, and alterations to the Green Belt boundary is supported subject to policy changes. In Gateshead proposals to build homes near Metrocentre, at Dunston Hill, Chopwell, Crawcrook, Highfield, High Spen, Kibblesworth, Ryton and Sunniside were also supported. 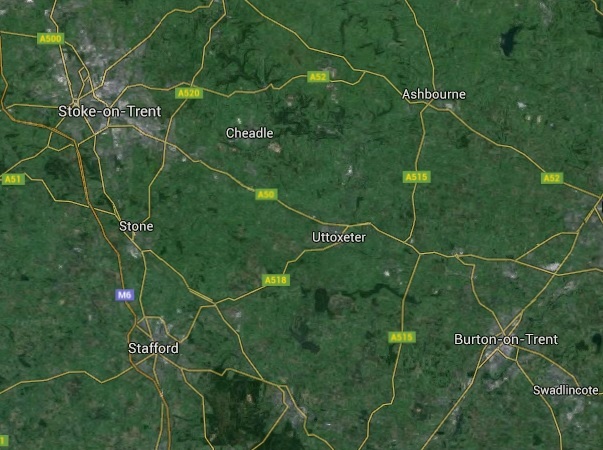 Cheshire East Council has suspended the examination of its emerging local plan core strategy for up to six months after the examining inspector expressed concerns about the local authority’s economic and housing strategies. A timetable has been confirmed for the second phase of the suspended examination of the strategy that will guide economic development and housing in South Worcestershire until 2030. The hearing was suspended to allow time for the three local authorities involved - Malvern Hills District Council, Worcester City Council and Wychavon District Council - to do more work on housing provision and site allocations including a number of sustainable urban extensions on the outskirts of Worcester. The hearing into East Staffordshire Borough Council's local plan has been adjourned by the inspector following concern over the council's assessment of housing need, its selection of development sites and its sustainability appraisal. The examination of the Chiltern Delivery Development Plan Document (DDPD) has been suspended for six months after the planning Inspector questioned the soundness of the strategy and asked the council to provide more evidence on housing need and on the delivery of housing sites. Steve Quartermain, the moustachioed Chief Planner at CLG told a conference last week that we can expect further planning changes to be announced in the Autumn Statement, just as they have been in almost every Budget and every Autumn Statement in recent years. The likely content of the announcements is no secret, as the government published a consultation paper on their further proposals for planning ‘reform’ at the end of July. The consultation period ended several weeks ago, and the government is now preparing the necessary statutory instruments by which effect will be given to these proposals. The Chancellor will no doubt announce these further planning changes with a sweet smile, in the hope that everyone will have forgotten that all these proposals had already been announced four months ago. As with most lazy journalism the newspaper and news media will use the announcement as if it is a new story. The changes to the GPDO will enable further changes of use in addition to those previously introduced within the past two years. These are expected to include the change of use of light industrial units (B1(c)), warehouses and storage units (B8) and some sui generis uses (launderettes, amusement arcades/centres, casinos and nightclubs) to residential use (C3), and changes of some sui generis uses to restaurants (C3) and leisure uses (D2). It is likely that the government will also go ahead with its intention to make permanent those permitted development rights which currently expire in May 2016. In the case of office-to-residential conversions, the existing time limit for completing those conversions will be extended from 30 May 2016 to 30 May 2019. A revised PD right for change of use from office to residential use is intended to be introduced with effect from May 2016, although whether this will actually survive the General Election may be dependent on who is actually in power after next May. If the government does go ahead with this, it will replace the existing PD right, and the government has said that the exemptions which apply to the current PD right will not be extended to apply to the new PD right. The amended Class J will be subject in future (i.e. after May 2016) to a consideration of the potential impact of the significant loss of the most strategically important office accommodation (although this criterion will be tightly defined), in addition to the impact on highways and transport, flooding and contamination risk. The right to build larger domestic extensions (under Part 1), currently expiring in May 2016, is also likely to be made permanent. A single storey rear extension or conservatory that extends beyond the rear wall by between four metres and eight metres for a detached house, and by between three metres and six metres for any other type of house, will be PD, subject to neighbour consultation for these larger householder extensions, which will continue to require prior approval by the LPA. The right to make alterations to commercial premises has not so far been extended to shops, and so the GPDO will be extended to allow retailers to alter their premises. PD rights are also expected to facilitate commercial filming, the installation of larger solar panels on commercial buildings, minor alterations within waste management facilities and for sewerage undertakers, and further extensions (in addition to those already allowed) to houses and business premises. Whether the government has got enough time to go ahead with a complete consolidation of the GPDO remains to be seen, but we have certainly not been led to expect any more thorough re-drafting, so as to remove the numerous anomalies and ambiguities that it contains. Turning to the Use Classes Order, contrary to the general trend, but unsurprisingly, it is expected that the scope of Class A2 will be restricted, so that betting offices and pay-day loan shops (both currently falling within this Use Class) will become sui generis uses. In fact it is quite likely that Use Classes A1 and A2 will be merged in a single new ‘town centre’ use class, so as to create a much more flexible range of uses in our High Streets. This is expected to be accompanied by a further amendment of the GPDO to allow change of use to the widened retail (A1) class from betting shops and pay day loan shops (A2), restaurants and cafés (A3), drinking establishments (A4), and hot food takeaways (A5). The existing PD right to allow the change of use from A1 and A2 to a flexible use for a period of two years will remain, as will the right to allow for up to two flats above, and the change of use to residential (C3). On the other hand, the Government is expected to remove the existing PD rights applying to the existing A2 use class, so as to allow LPAs to control these developments. With effect from 10 May 2006, any internal increase in floorspace of 200 square metres or more (including the introduction of mezzanine floors) in a building in retail use has been included within the definition of development under section 55, and requires planning permission. Some changes are also expected to the Development Management Procedure Order, including a requirement for a written justification from the LPA as to why it is necessary for a particular matter to be dealt with by a pre-commencement condition. This requirement will be in addition to the general justification that local planning authorities are already required to provide for using conditions. Some further tinkering with the DMPO can be expected, including the involvement of statutory consultees in the planning process (e.g. a requirement to notify railway infrastructure managers of planning applications for development near railways). It is possible that there might also be a consolidation of the DMPO, as well as devising some means by which the time taken in the various stages of the planning process could be separately measured, rather than the present measurement of the total time from making an application to its determination. Finally, we have been promised an adjustment of EIA thresholds, whereby the requirement for an EIA will affect fewer development schemes in future. Not all of these proposals are guaranteed to come forward, but the Autumn Statement can be expected to cover most of the items listed above, to be followed with the necessary subordinate legislation, as outlined above.